ORGANISERS OF THIS Friday’s Dublin appearance by Saturday Night Live and Parks and Rec star Amy Poehler say they’ve been inundated with ticket requests from the media and fans alike since news of her visit was confirmed. The comedian/actress/writer/director and occasional Emmy host will be at at Trinity College’s Philosophical Society on Friday where she’ll accept the Gold Medal of Honorary Patronage. The likes of astronaut Chris Hadfield, author Daniel Handler (aka. Lemony Snicket) and talk show host Conan O’Brien have also picked up the honour in recent years. It’s expected Poehler will speak at the event after receiving the award, at 2pm – and fans will no doubt be lining up for a Q&A session scheduled to take place afterwards. Chair of the ‘Phil’ Sarah Mortell said more than 1,800 people had joined the event page on Facebook. However, the venue for the ceremony – the Graduates Memorial Building – has a capacity of just 220. Mortell said she wasn’t sure how long the ticketing process might take on Wednesday, but that she was sure there’d be a huge turn out on the day. 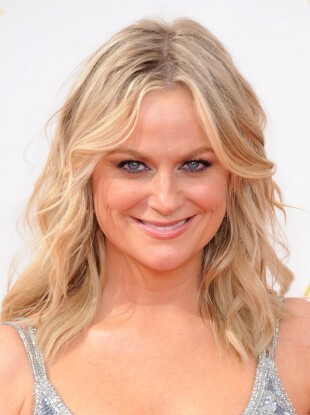 She said she had simply sent Poehler an email asking her to accept the award, and that the star had replied with a “yes”. Discussions with her representatives have been taking place in the lead up to this week’s ceremony. “We’ve had a huge interest from radio, TV stations and everyone else since this morning,” she said. Accepting the same award in 2012, Conan O’Brien said that while he was delighted to accept an invitation from his “mother country” – he thought Trinity should, at this point, really “get over” the Book of Kells. With reporting by Emer McLysaght. Email “Looking for a ticket to see this woman speak in Dublin? ... Join the queue ”. Feedback on “Looking for a ticket to see this woman speak in Dublin? ... Join the queue ”.